With us, you can live like a real Parisian, close to the best cafés, restaurants, and shops the city has to offer. 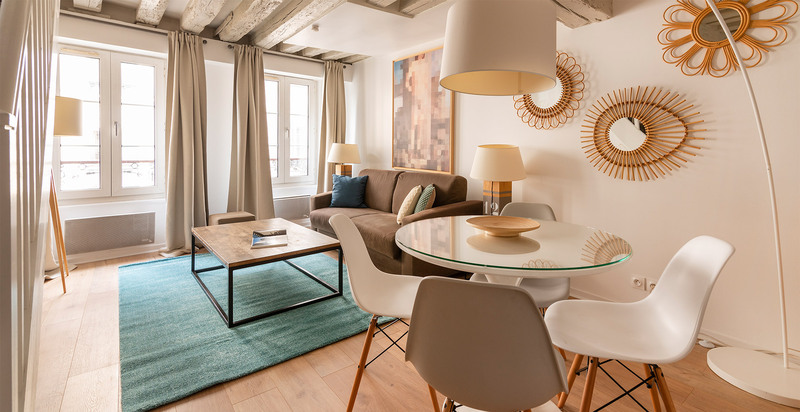 This air conditionned two bedroom-two bathroom apartment is located in a fabulous location in the lively Marais, but still it's extremely quiet and bright. It has all the charm and authenticity of Paris with antique furniture, beautiful parquet floors a fire place, and warm subtle colors throughout, while providing comfort, space and practicality. 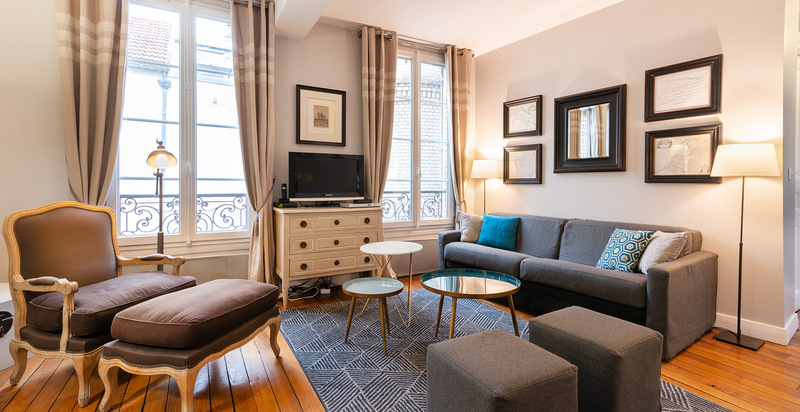 The Marais Chic two bedroom - two bathroom apartment is litteraly steps from the St Paul metro stop. Elegant, quiet and comfortable, this air conditionned apartment also has a floorplan that provides lots of privacy. 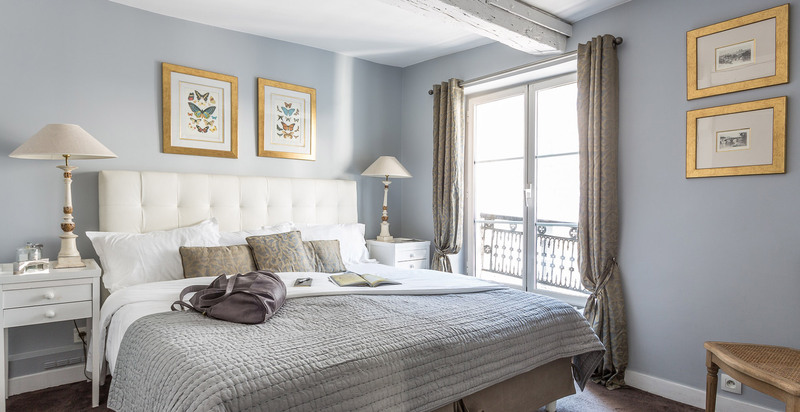 The location can't be beaten since the building is on the edge of the famous Village St Paul, and one block for the River Seine and the Islands. 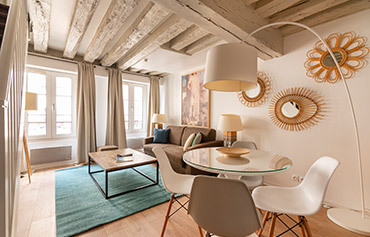 Located right in the very center of Paris, in a charming side street of the historic Marais area, this apartment combines the classic Parisian charm of exposed beam architecture with the comfort and style of modern furnishings and amenities. 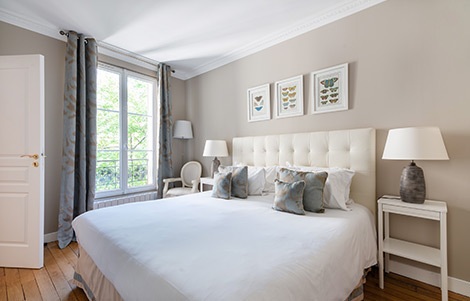 This is an ideal Paris home from which to explore all the best areas of central Paris on foot. 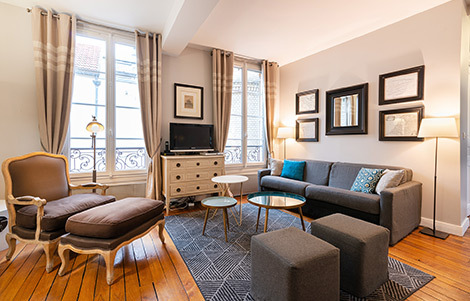 A few steps from the Place des Vosges, the Marais Studio is located right in the heart of the trendy Le Marais district, very close to the metro, fashionable clothing stores, and convenient everyday shopping. You couldn't ask for a better location. 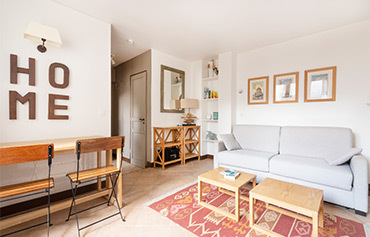 The Marais Studio is very comfortable, decorated with sophisticated, warm earth tones. It is bright, well appointed and equipped, and very quiet. From your first step into this comfortable and perfectly located apartment, you will feel at home. 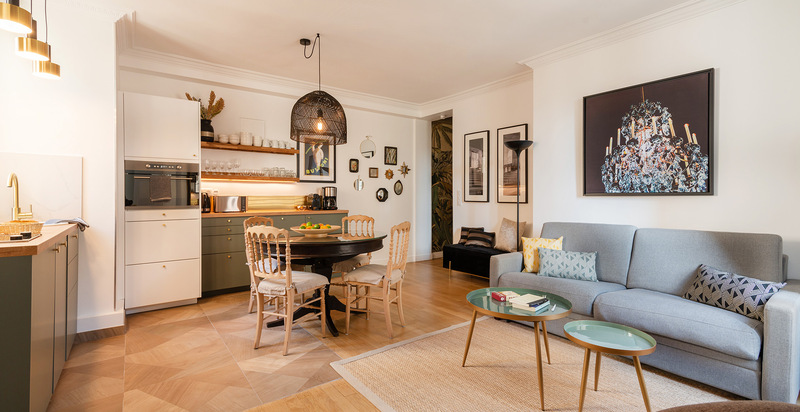 Spacious and equipped with all the necessary appliances, this Air conditionned apartment is full of charm, thanks to its tasteful decoration and beautifully exposed beams that reveal a bit of old Paris. Check the reviews our gests posted after their stays in the apartments. Like the hundreds of clients who chose Dreams Apartments, you won't be disappointed. Extraordinary - beautiful apartment, amazing host, perfect location. Would come again for sure! Excellent location, nice and quiet, all new updated, everything functions well. After multiple visits to Paris SO happy to find this gem. Quiet neighborhood. Perfect for a family. Great location. Very clean and fresh. Driver was a wonderful perk, on time and professional. Will recommend to friends. We were in Paris for one week with good friends (both over 65) and our stay was perfect. We were walking distance to good food, wine, and attractions. We would highly recommend. Great location, comfortable space. Very nice to have laundry in-house. I would definitely stay here again. 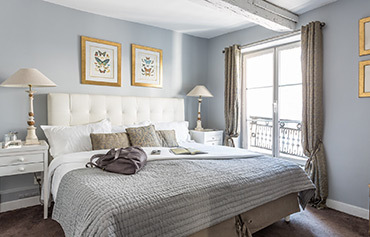 Just returned from a fabulous stay at Marais Chic 2 bedroom apartment. What a gem! Perfectly situated on a metro line and walking distance to the Ile St. Louis. Even better than the pictures indicate. We stayed 9 nights at this apartment and the complete experience was excellent!!! All you need for a great vacation in Paris is included in the apartment and the small details make all the difference. Thanks for the follow up. 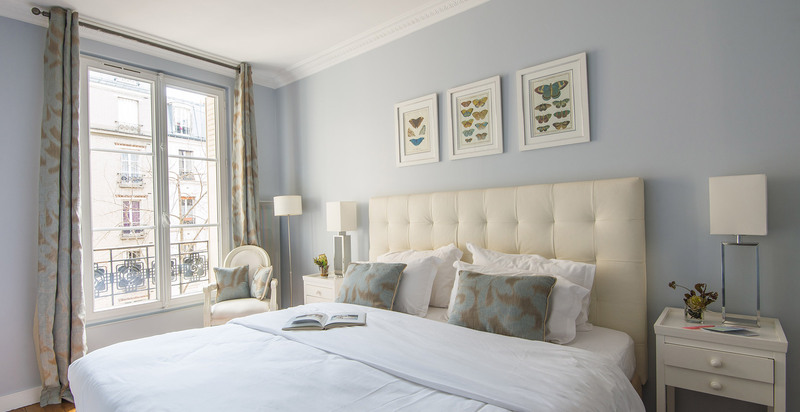 We enjoyed our stay in Paris and loved the location of the St Germain Cosy apartment. It had many restaurants and shops around, was safe and still quiet at night.